At only 20 years old, it might be a bit too early to be talking about one’s legacy. 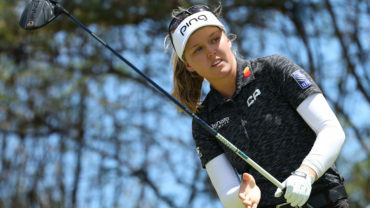 But when that person is Brooke Henderson and she has six LPGA Tour titles – including one major to her name – that is a topic which will inevitably come up for discussion. In just in her third full season, the former member of Golf Canada’s national team program trails only Sandra Post – who captured eight LPGA Tour titles during her career – for most all time by a Canadian. “The first chapter has only been written,” said said Lorie Kane, referring to the legacy Henderson is building through her success. As an inductee to the Canadian golf hall of fame in 2016 and a member of the Order of Canada, Kane is very familiar with leaving a legacy and making an impact. For her part, the 20-year-old from Smith Falls, Ont. has some kind words about Kane – who she regards as a mentor. “I remember playing a practice round with her when I was fifteen; and later that week we held hands and waved to the crowd while walking up the 18th hole. That was a special memory,” said Henderson. 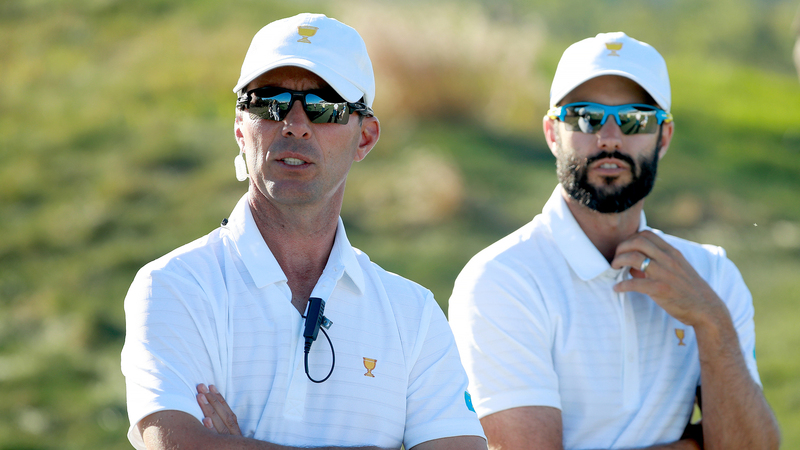 Kane is quick to point out that the young golfing superstar benefits from having a great supporting cast. “Brooke is the product of a very good upbringing from her mom and dad and sister Brit who carries the bag that supports her,” she noted. 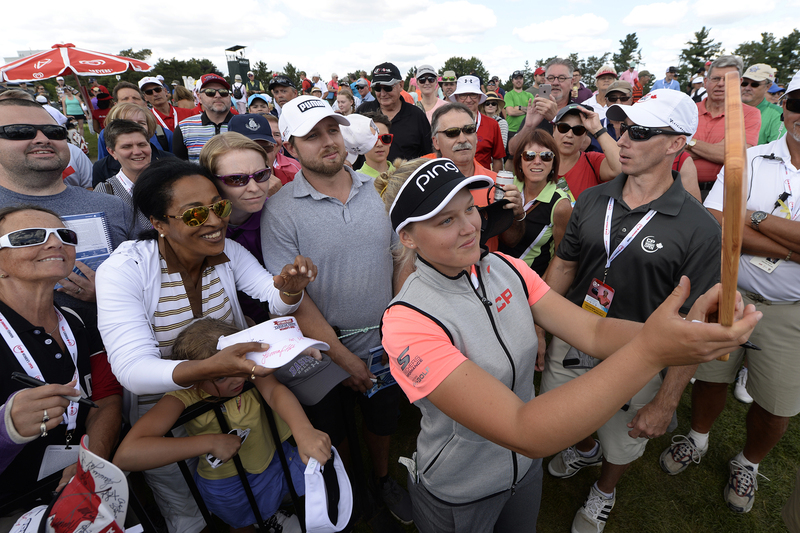 “She has also benefited a lot from being part of Golf Canada’s national team program,” Kane added. Henderson, who first joined the national team program at the age of 14, credits her time with the team for a significant part of her success. “I got so many opportunities to compete outside of Canada and in the U.S. We played in the British and world amateur championships and all over the world,” Henderson said. Today, as a six-time LPGA Tour winner and a bona fide star in her sport, the 20-year-old golfer is grateful to be living out her childhood dream. “It’s always been a dream since I was a little girl to play against the best golfers in the world; and I’m now very thankful to be able to do that every week and travel the world,” said Henderson, who started playing the sport at the age of three. 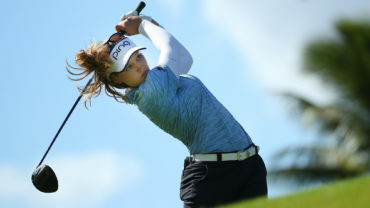 In terms of continuing on the success she’s enjoyed, Henderson isn’t shy about declaring her goal of one day capturing the Canadian Pacific Women’s Open. Looking at the bigger picture, the two-time CP Female Athlete of the Year is happy that her success has a ripple effect in terms of inspiring others to chase after their own version of greatness. Henderson’s success has also provided her with a platform to address important causes close to her heart. “I think its great to play on the LPGA Tour and play all around the world and be in a position where you can give back,” she said. Last year in Ottawa, the program raised $2M for the Children’s Hospital of Eastern Ontario. This year, the funds raised through the program will go to support the Jim Pattison Children’s Hospital Foundation. “I’m really happy to be an ambassador alongside Lorie Kane. And she does a really great job in raising awareness and helping to raise awareness so I’m following her lead,” Henderson added. 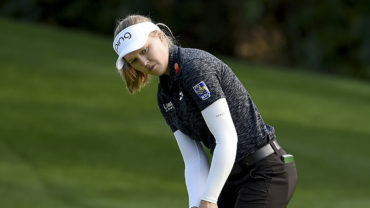 Also, in early April, with the devastation left behind by the Humboldt Broncos bus crash, Henderson dedicated her victory at the Lotte Championship in Kapolei, Hawaii to the victims and their families. “What happened was extremely tragic and I was happy that I was able to win it for them and I was glad to be able to honour them in some way,” she said. As the Smiths Falls, Ont. 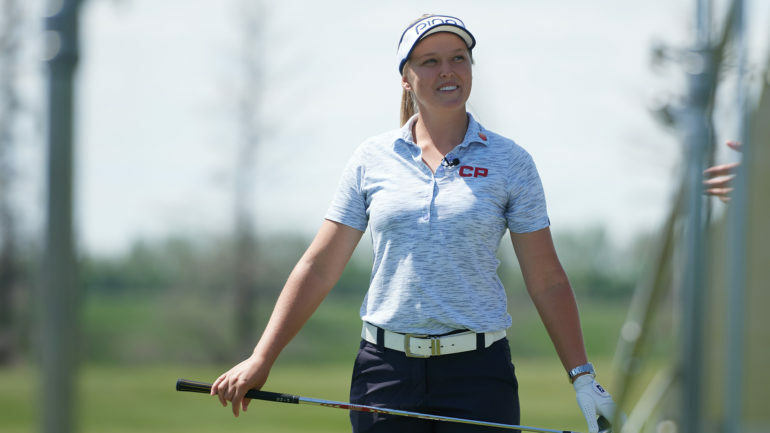 native prepares to compete in Saskatchewan for the first time in her career, she hopes to be able to honour the victims one more time with a strong performance in the third week of August at the Wascana Country Club. Besides building a legacy through her stellar results on the golf course – and chasing down records in the process – the mature 20-year-old understands that a part of that legacy will also be defined by how she uses her platform away from the golf course. “In the big scheme of things, I’m playing golf for a living and enjoying every minute of it,” said Henderson. “This is my passion and it’s what I love to do. I’m thankful to have the opportunity to give back and inspire others along the way,” she added.